All hotel reservations must be made through the CAS Housing Bureau – accessible after you have completed your Annual Meeting registration. Individual hotels will not take reservations. PLEASE NOTE: Your support is critical. Please book your room within the CAS hotel room blocks to ensure that we meet our room pickup commitments. These commitments assist in providing us with free meeting space. CAS has partnered with the following hotels within walking distance to the Calgary TELUS Convention Centre for your stay in Calgary. Transfers to and from the Calgary International Airport can be arranged by Allied Airport Shuttle. Please visit the Allied Shuttle counter on arrivals level near gate “B”, between doors #4 & #5 from 8 am until midnight, 7 days a week. The shuttle leaves every 30 minutes between 10 am & 8 pm and once an hour between 8 am & 10 am and 8 pm and Midnight. The cutoff time to get on each departure is 5 minutes before. Should you have any issues locating us please call us at (403) 299 9555. With a reservation made a minimum of two hours in advance, pickup from the hotel to the airport is every hour on the ‘:37’. The rate is $15 per person from airport to the hotel and $10 per person from hotel to the airport, tip not yet included. Service is offered from 5:00 AM – 12 Midnight daily. Please contact our Concierge at 403 717 1234 for assistance. Rates between airport and hotel: Approximately $40 one way. For travel around town, taxis are readily available at the front of the hotel. 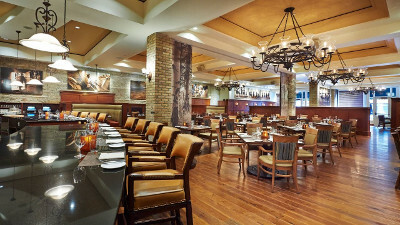 Centrally located in downtown Calgary, Fairmont Palliser is conveniently situated near the city’s business and financial district and is within walking distance to the city’s most exciting retail shopping, arts, culture and entertainment venues. Calgary’s friendly spirit, coupled with the city’s vibrant urban ambience makes for a metropolis of wonderful contrasts. 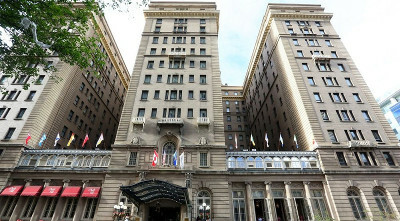 Set in the heart of the city, Fairmont Palliser is a historical landmark offering distinctive accommodation in elegant surroundings. With a reservation made a minimum of two hours in advance, pickup from the hotel to the airport is every hour on the ‘:08’. The rate is $15 per person from airport to the hotel and $10 per person from hotel to the airport, tip not yet included. Service is offered from 5:00 AM – 12 Midnight daily. Please contact them directly to confirm times. 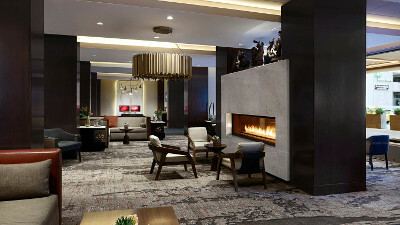 Blending elegance, comfort and style, Calgary Marriott Downtown Hotel is the perfect destination for business and leisure travel. Find your respite in thoughtfully appointed rooms and suites, featuring deluxe pillowtop bedding, large flat-screen TVs, premium THANN bath amenities and stirring views of the city skyline or the Canadian Rockies. Surround yourself with celebrated attractions, including Scotiabank Saddledome, TELUS Convention Centre, Calgary Tower, Canada Olympic Park and the incredible Calgary Stampede. Celebrate and succeed in 11,000 square feet of sophisticated meeting and event space, including our expansive rooftop patio. With a reservation made a minimum of two hours in advance, pickup from the hotel to the airport is every hour on the ‘:10’. The rate is $15 per person from airport to the hotel and $10 per person from hotel to the airport, tip not yet included. Service is offered from 5:00 AM – 12 Midnight daily. Please contact them directly to confirm times. Enjoy the area’s most popular attractions and hidden treasures—local dining, iconic landmarks, shopping, sports, theatre, entertainment, are just a few steps away from the conference hotels. 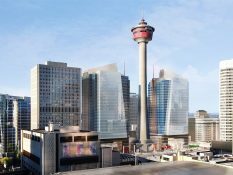 Head to the Calgary Tower for a panoramic view of Calgary and the mountains, 630 ft. above the ground via an observational indoor terrace. Just outside their doors is the historic Stephen Avenue Walk, a year-round pedestrian experience featuring shopping, restaurants and entertainment venues. Venture over to Fort Calgary, built in 1875 and the original home to the North West Mounted Police. Across the Bow River is the Calgary Zoo where you can get up close and personal with over 900 animals, representing more than 120 species from five continents. Take time to visit the Glenbow Museum showcasing Canadian Heritage and exhibits on Native and pioneer culture, Canadian artists and military history, or catch a CFL game at the McMahon Football Stadium, home of the Calgary Stampeders. You are not far from Stampede Park so extend your stay and take in the daily rodeos, midway, live shows, and much more of the Calgary Stampede (this year taking place July 5-14). 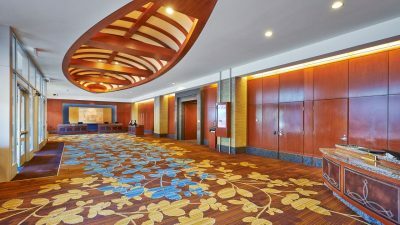 Conference rates guaranteed until May 20, 2019 subject to availability. 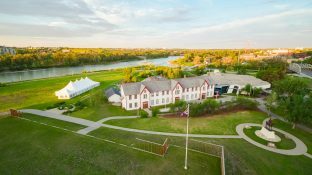 •	Room rates shown do not include 3% Destination Marketing Fee, Alberta Tourism Levy 4% nor the 5% Federal Tax. •	Other room types may be available on a limited basis – Contact the Housing Bureau for availability and pricing. •	A major credit card will be required to guarantee your hotel booking. •	A non-refundable deposit of one night room and tax will be reflected on your credit card statement as early as one (1) month prior to check-in. Check-in time is 15:00. Every effort is made to accommodate guests arriving before the check-in time; however, rooms may not be immediately available. Check-out time is 12:00 Noon. Requests to retain rooms beyond that hour should be directed to the Front Desk once the delegate is registered. Should it be possible to extend a late check-out, a late departure charge may be applicable. Cancellations must be made before May 20, 2019 to avoid a penalty equivalent to one (1) night room and tax.